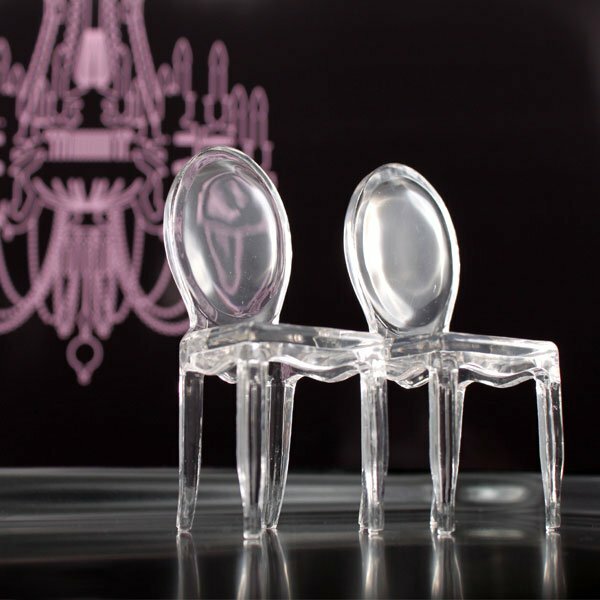 These miniature phantom chairs will bring new meaning to the phrase "take a seat!" 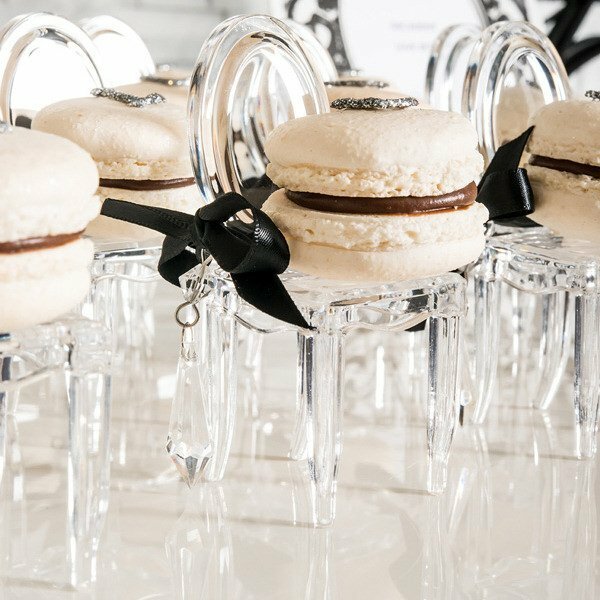 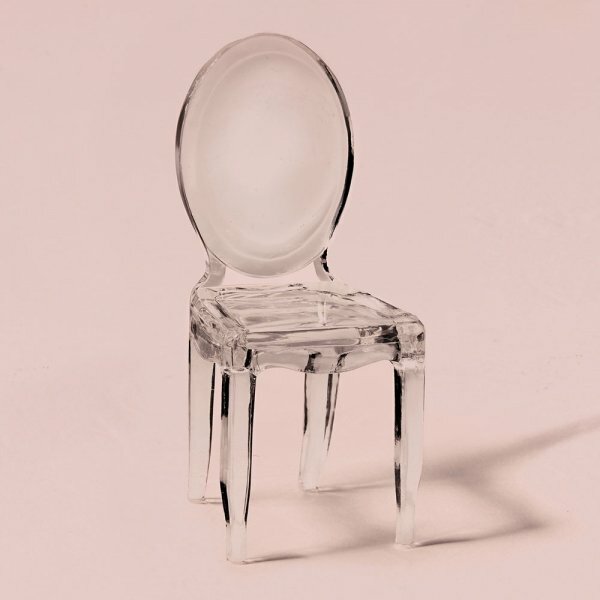 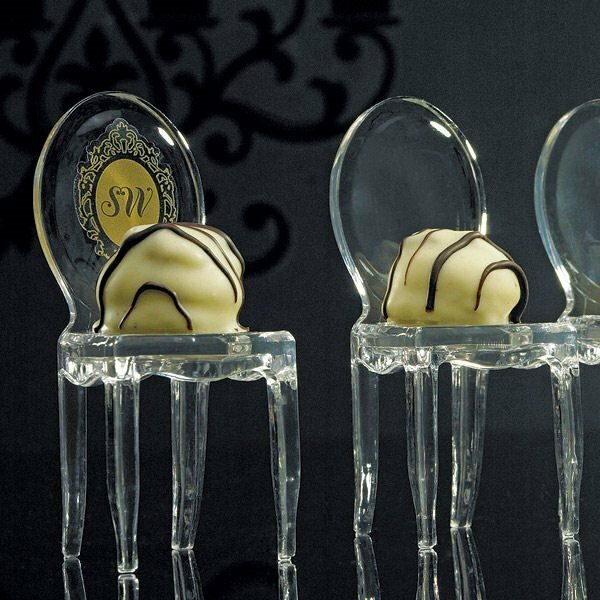 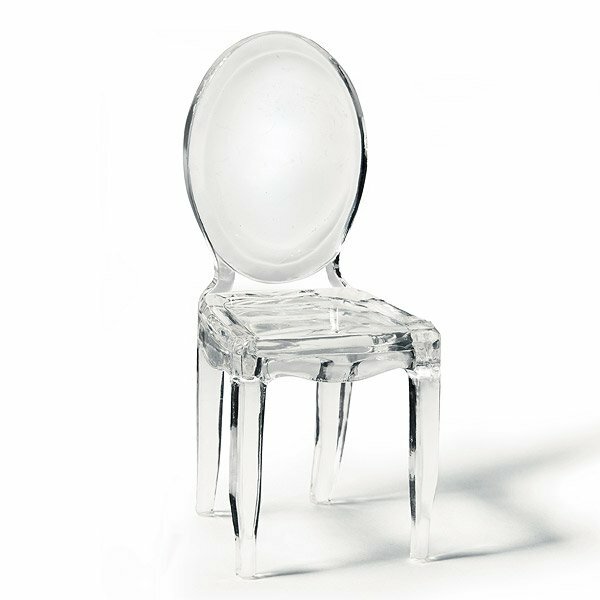 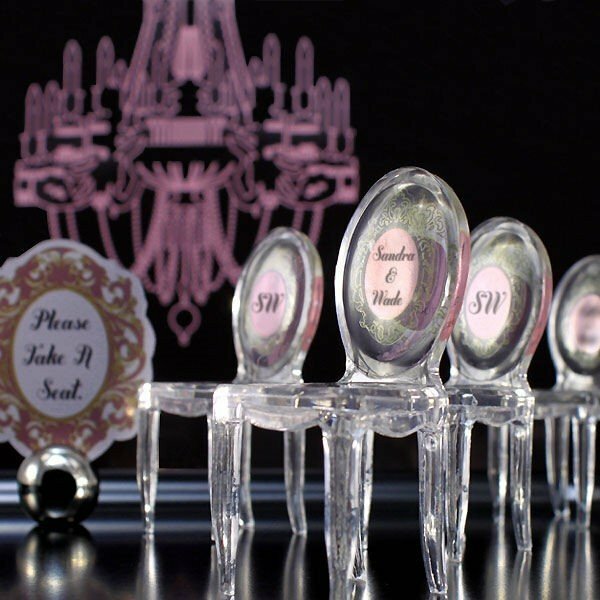 Standing 3 3/4" tall and constructed of clear acrylic, these chairs will enhance any color scheme and add a hint of enchantment to your fairy tale or opera theme.Chairs are perfect for presenting a small favor (like a chocolate truffle or silver charm) or holding your place card at each seat. 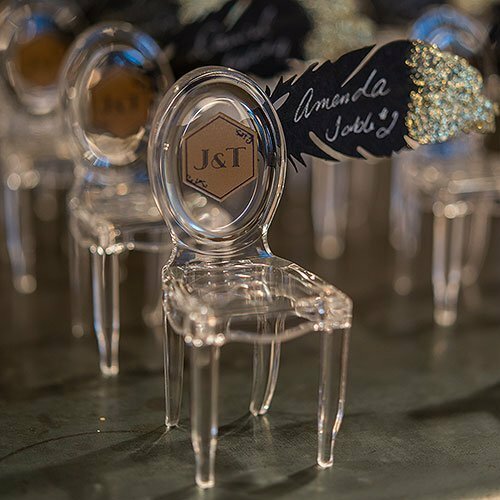 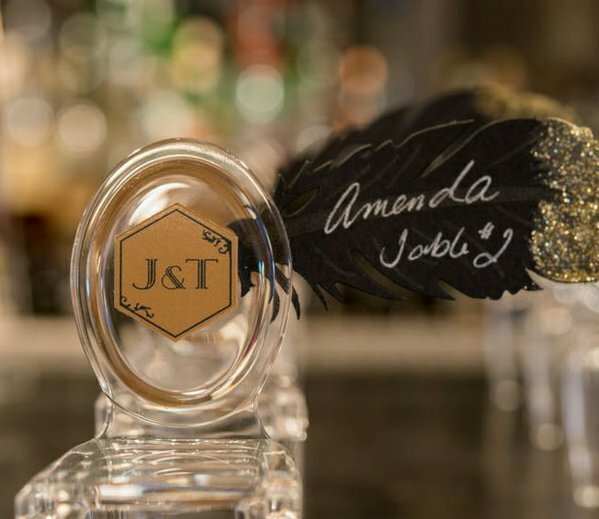 You can even order personalized stickers (sold separately, search for item number 1055-36) and present a Victorian-inspired design to all! 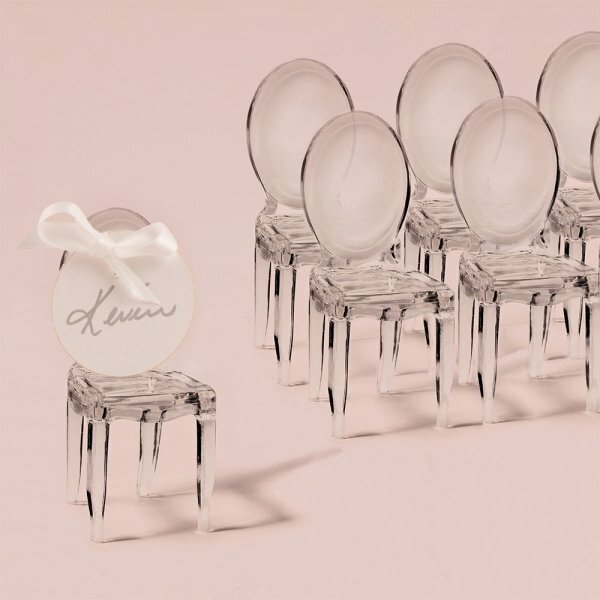 Chairs are sold in a set of 8.